It’s been many months since I’ve posted here, many months since I’ve ever looked at this blog at all. Despite that, I’ve left the bookmark in my toolbar – a large, capitalized beacon yelling “BLOG” at me, daily, as if I had left it there to nag me, hoping if I stared at it long enough I’d get back on a regular writing track. Obviously it hasn’t worked, but I still couldn’t bring myself to delete it, knowing that if I did then there really was no chance and that if I ever wrote about the occult again it would probably be in a different medium. Why did I jump off the wagon? To be honest, I can’t say for sure. At first (and my previous posts will confirm this) my excuse was that I was looking for a better medium. I wasn’t getting as many views or comments as I thought I could have, and wondered if maybe a podcast or video channel would be a better outlet. I figured if I didn’t read any blogs, why should I expect anyone to read mine? I’ve decided that viewership isn’t the point. The reason I want to have a blog at all is because I keep claiming I’m a writer but I never write. I want the practice, I want to get better. I want writing to be a skill I can keep in pocket so that hopefully, when I’m older and wiser, I can write a full account of what I’ve learned on this fascinating and ever-changing spiritual path. Thelema is a philosophy that appears to want to stick with me. After I took first degree, I went full on into the routine for a while. That’s something I tend to do with anything – I’ll jump full on into whatever practice or philosophy I like at the time, then the commitment exhausts me and I drop it entirely. And that did happen for a while. I started off with a banishing and meditation every morning, saying Resh four times a day and keeping a regular magickal journal. Then, at some point in December, I got sidetracked. As soon as I realized I wasn’t seeing any adverse affects from dropping the “routine” I stopped trying. I dropped nearly everything for months, and didn’t visit the lodge. I switched my focus to psychology, and for a while that suited me. I worked on applying to grad school and brushing up on the recent literature, and I focused solely on that and my job. For a while, it felt like enough. What exactly pulled me back in I’m not sure. Probably a variety of things – conversations with friends, occult references in movies, small synchronicities popping up where I wasn’t expecting them. I realized I missed it. I missed the magical consciousness. I missed feeling plugged in to the greater plan of the Universe. I missed feeling like I was contributing to a bigger, more beautiful picture. So here I am. I’m easing back in – trying not to push myself this time to be perfect. I feel like in a magickal practice there’s so many things you can do that you feel like you have to do it all. I’m not going to make myself do it all this time, not at first – but I do want to keep the blog running, so I can keep those who are interested up to date on how I’m fairing. I was thinking of doing a series of notes on the A.’.A.’. reading list, which I may tackle soon. It’s a publicly posted list (at least the first one is) so I don’t think there’s any obstacles to me doing that, and if there’s enough interest I think it’d make for a good read. Please leave comments and suggestions for future entries! I’m hopping back into the blog for a moment to share a project with you that I’ve been working on for a while. Over the summer, I had the pleasure of being involved in a number of shooting sessions with the lovely producers/directors of the film Charlie Christ: The Gospel According to Fools – not only as an actor, but also occasionally as an assistant director. The film is a post apocalyptic religious satire, sure to be enjoyed by anyone with an interest in the occult or religious parody (but also anyone who enjoys the styles of films like Hook, Indiana Jones, and Monty Python). It’s truly a feat that the team behind the film, the comedy group Niente Peaches, have been able to accomplish so much on such a small budget thus far. Now that the shooting of the film is almost completely, funds are needed to distribute and market the film – that’s where you come in. Every penny counts and is greatly appreciated, and if the goal amount isn’t reached ($5000 by mid march) no one gets charged. The funds are being raised through Kickstarter, an innovative website that allows small creative projects to raise money. The link is here: http://www.kickstarter.com/projects/1585473680/charlie-christ-a-feature-length-comedy-about-the-a/backers It’s just $20 to pre-order the film! A donation of any size is greatly appreciated (as little as $5 gets your name in the credits as a “fancy contributor) , and there are prizes! See the link for more. Things seem to be shifting around a bunch and I’ve been re-evaluating my goals for this blog – in light of a lot of stimulating conversations with friends, and a lot of discussions about media and ways to get a message across. My overall goal, I’ve determined, is to make gnosis more available. There are many, many people who would benefit from reading up on esoteric concepts, but few seek it out. The more accessible the knowledge is, the more people it can reach, the better the world is. Now, being that my goal is to make the information more accessible, it would follow that I have to use a medium that’s accessible and used frequently by most people – and I’ve determined blogs aren’t necessarily the best way. Before making my own blog, I hardly used or read blogs at all. So I’m thinking of moving to a different medium. At first I thought maybe a video blog, but I’m also thinking maybe a podcast. Thoughts? This is going to be a follow-up to this previous post: Results since 9/26, Goals for November in following with my monthly goal setting trend. First off, for those of you who also live in the upper western hemisphere or anywhere else where it is cold and dreary right now: Are you as bummed as I am? Because damn, this weather makes me sad. There’s actually a name for that, fittingly abbreviated S.A.D. (seasonal affective disorder) which I’m pretty sure I have. Despite the fact that I don’t consider it a very concrete/real disease, I certainly fit the symptoms. Right after daylight savings time, my mood just sort of fell downhill. Not even downhill really, just sort of a bit of a roll and then *wham* right off a cliff. Oh well. I had said I wanted to get more comfortable with the Middle Pillar ritual, and that I’ve done. It wasn’t actually that difficult, despite most of my meditation experience being chakra based. I got used to purple being at my throat instead of blue, and yellow at my heart instead of green, and silver in the sacral area instead of orange, and after that it just sort of came naturally. I did two 10 minute sessions this month using the Middle Pillar ritual (I know, not much) but it was enough to get myself familiar. My other goal was to be able to meditate for half an hour without my feet and legs falling asleep. To be honest, I don’t actually know if I can do that or not because I haven’t tried. Though I did perform a ritual that lasted a solid hour, and the majority of that was meditated, so I’d guess I could do it. I’ll time myself some time this week and see how long I can go for, and update on it. New goals: Obviously, I want to make sure (officially timed and documented) that I can do half an hour, no breaks. I also want to do the Middle Pillar ritual more frequently. Past that, I don’t have any concrete goals for meditation. I wouldn’t mind attempting a different asana, as I’ve been pretty set in the half lotus position for a while. Maybe try full lotus? or dragon pose? Actually, that sounds good. Alright, my new goal for meditation is to become comfortable meditating in a position other than half lotus. Good. Had I not practiced so much this afternoon, I’d really be berating myself in this section. I had said I needed *NEEDED* to be able to do single and double rolls by the end of November, and I had to practice every other day. Well, dear readers, I haven’t done either of those. *single tear*. But I am working on it! I practiced nothing but double and single rolls (mostly doubles) this afternoon, going back to the very basic techniques (gripwork, etc) and really tried. And I didn’t practice every other day because I was out of town for a week this month for Thanksgiving and obviously didn’t take my kit with me. I’ve learned three new songs though, and a couple new grooves and fills, and that certainly counts for something. New Goals: I’m just going to keep rolling this one over until I friggin’ get it: Single and double rolls. That’s all I’m going to ask of myself. It is December after all, and I’ll be away for Christmas so there will be another week out of the month that I can’t practice. I told myself I had to have another lucid dream this month, and I had to be able to manipulate my environment this time, or at least try. I haven’t had a lucid dream on par with the one I had after listening to the LRS Podcast (#3) – but I have had much clearer dreams, and I’ve been recording them in greater detail than I ever have before. I think, for now, this is enough. I’ve done as much as I can to try to encourage a lucid dream, and it just hasn’t come. The most I can do is try more dream checks during the day, and keep recording my dreams. Ooph. The more I go through these, the more I realize I didn’t reach a lot of these goals. I think I’ve learned though that while it’s important to challenge yourself, there’s also a balance involved – if you continually set the bar too high, you won’t get anything done. Case in point: I still can’t do very many real push ups. Last few days, I have genuinely done a few sets of knee push ups (stop laughing at me!) every day. Not building up much strength though, and the emphasis there is obviously on the “last few days” – I wasn’t doing push ups all month. Though, in contrast to my failed “do a split” goal, I think being able to do push ups is a goal worth pursuing. I’m gonna roll this one over, too. New Goals: Real Push ups. Solid ones. Ten of them. The “out-of-town” thing really isn’t an excuse here, I can totally do push ups at my dad’s house. I can do push ups anywhere, and I know the more I do them the more I’ll be able to do. That’s how it works. Just ten, that’s all I’m gonna try for. I’m going easy on myself this month, since it’s the holidays and the cold weather is really throwing me off. I had said I wanted to finish Chicken Qabalah and Portable Darkness and memorized the paths of the Tree of Life. 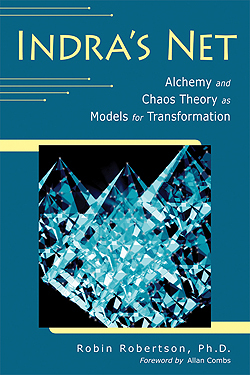 I did all of that, and I read two other books: Indra’s Net: Chaos Theory and Alchemy as Models for Transformation by Robin Robertson and My Life with the Spirits by Lon Milo Duquette. Also I’m halfway through Low Magick by DuQuette, and I finished reading Promethea by Alan Moore. All of the above are highly recommended. New Goals: I hardly need to make reading a “goal” I do that naturally and without incentive. Therefore I think my next goal in the “other” category should be ritual based. I’ve thus far only done the LBRP and basic sigil magick and not much else – so I want to expand my horizons on that front and try something different. Star Ruby? A different banishing ritual? an invocation? Whatever I come up with, as long as it’s a break with routine it counts. As someone with an interest in chaos magick and in disorder in general, I was naturally drawn to Discordianism and have known about it for a while now. Admittedly, I don’t think I stumbled upon it through any kind of intellectual means – I’m pretty sure I had found one of those ubiquitous lists of Discordian quotes and found it hilarious, and decided to look into what exactly Discordianism was. At the time, I don’t think I really understood it, and probably didn’t get much further than the above quote. More recently, I came back to Discordianism after reading up on Robert Anton Wilson, who I can now surely proclaim as one of my heroes. Robert Anton Wilson (1932-2007) was a prolific writer, great thinker, philosopher and libertarian. Robert Anton Wilson popularized Discordianism through his books, most notably the Illuminatus! Trilogy. The core beliefs and practices of Discordianism are well laid out in its primary text, the Principia Discordia, which I (full disclosure) read this afternoon. The Principia Discordia was written in 1968, and was authored (supposedly) by a person known as “Malaclypse the Younger”. There are a few conspiracies/rumors claiming that Robert Anton Wilson actually wrote the book, or Richard Nixon, or Timothy Leary. Who knows. Robert Anton Wilson, in his introduction to the version of the book I read, claims the author is actually a time travelling man named Gregory Hill. Discordianism postulates that chaos is good, not evil, as many traditions would have it. The principle of disorder is considered as important as the principle of order, and this society’s insistence on imposing order is what is causing all of its problems. As the story goes, Eris, Goddess of Discordianism, interrupted a party Zeus was throwing (she wasn’t invited). She rolled a Golden Apple into the room with “KALLISTI” written on it, which means “To the Prettiest One” in Greek. This, naturally, caused a bit of a fight among the Goddesses at the party, who all claimed the apple belonged to them. Zeus saw fit to settle the score by allowing Paris, a young shepherd, to judge. Paris was then bribed by the three Goddesses – Athena offered victory in war, Hera offered wealth, and Aphrodite offered the most beautiful woman in the world. Paris, as we know, picked the latter – who happened to be Helen, and (to make a long story short) thus began the Trojan War. Discordians add to this story that after Eris rolled the Apple into the banquet hall, she ran off to partake of a hot dog. Therefore, it is said that Discordians must, on a Friday, go off and partake of a hot dog. But no hot dog buns. 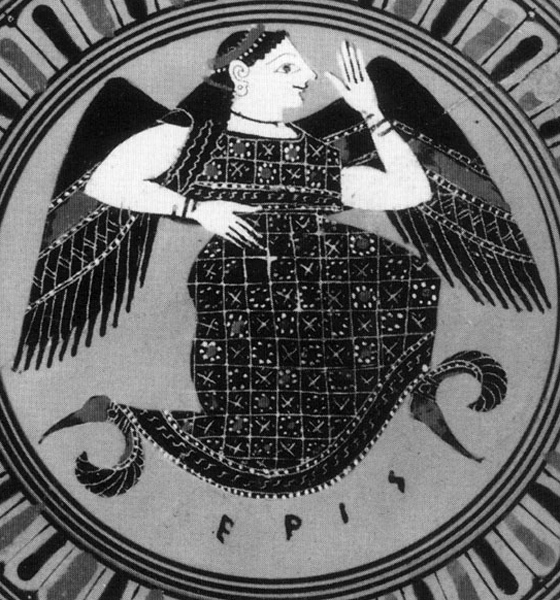 The Eris myth gives way to the symbol of the Sacred Chao – which is not, as the Principia Discordia says, the Yin-Yang of the Taoists, but rather it is the Hodge-Podge of the Erisians. 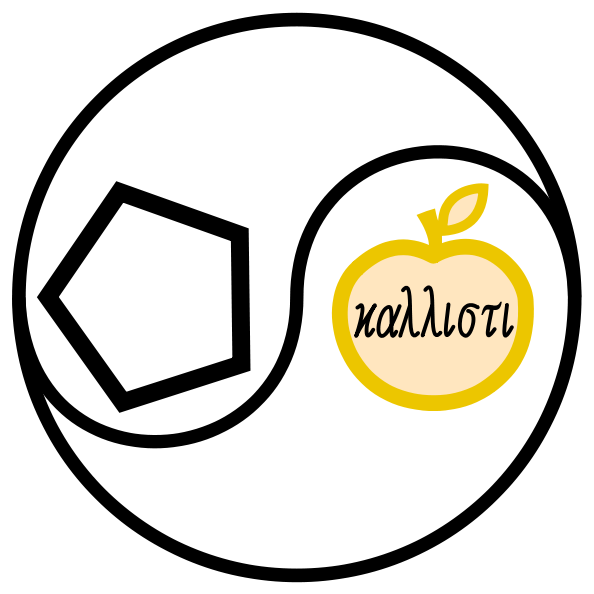 It represents the Aneristic (order) principle and the Erisistic (disorder) principle, represented by the pentagon and the golden apple respectively. The pentagon is a reference to the law of fives (see below) and also the Pentagon in the U.S., a real life representation of the order principle. The Law of Fives is this: All things happen in fives, or are divisible by or are multiples of five, or are somehow directly or indirectly appropriate to 5. Can’t argue with that logic, can you? I think it’s a rather humorous snub at the numerology which is so prevalent in occultism. I get a kick out of that, and also that it connects to the 23 enigma (in a nutshell, it’s the belief that the number 23 is everywhere, and is connected to a worldwide conspiracy). Because 2 +3 =5. I don’t necessarily believe that occultism has completely overlooked these, but I do think the scene in general could stand to take itself a little less seriously. That’s probably why I admire Lon Milo DuQuette so much – I actually laughed out loud reading the Chicken Qabala, and you can’t say that about many occult texts. In fact, you probably can’t say that about any, unless they were written by R.A.W. or Lon. Humor is important though, and it gives perspective, and I really don’t think that should be overlooked. That applies to Discordianism as a whole – it’s largely viewed as a parody religion because it’s so funny, but I don’t think it should be taken as such. Religions and philosophies can be funny and serious at the same time and still be studied as legitimate. Discordianism offers a lot of hidden wisdom, and veils it cleverly under pseudonyms and nonsense – and I respect that. Fnord! I’ve started writing this post here quite a few times, and I’ve written it in my head even more than that. I think the reason I’ve struggled so much with getting it out is two fold: The first is that it kept disintegrating into a comparison of Luciferianism and Thelema, and that’s not what I intend to do, not do I intend to insult any of the Luciferians I know and love. The second is that Thelema seems to sit so naturally with me it’s hard to articulate. But inspiration has struck me, and I’m going to try. The way that Thelema came into my life (at least in this period, I knew of it in high school but rejected it as too complicated) was a gradual process of realization. 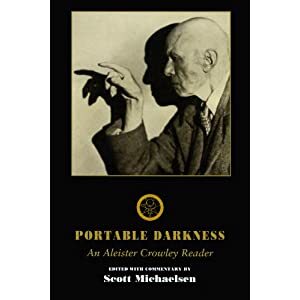 I had been devoting my research to Satanism and Luciferianism and other aspects of the left hand path, and Crowley’s writings were constantly referenced. Noticing this, I took it upon myself to write a blog post summarizing my opinions on Crowley’s ideals. I found, in the process of writing the post, that I identified pretty strongly with “True Will” and the Knowledge and Conversation of the Holy Guardian Angel, and especially his definition of Magick. What didn’t strike me at the time was I had essentially agreed and resonated strongly with the most essential tenets of Thelema. At that point, I thought I had just found Thelema acceptable and moved on. As I continued reading various things (Generation Hex, The Invisibles, and random things on the internet, as usual) I found more and more references to Crowley, all of which seemed to show him and Thelema in a more positive and richer light than before. Then, now that I had been somewhat mentally primed for accepting Thelema by a variety of sources, I met a Thelemite, oddly enough, at a meetup for Satanists. I can’t say much more here without falling back into the Luciferianism/Satanism vs. Thelema debate, and I don’t want to disparage anyone’s character, but I will say that I got along much better with the Thelemite present than with anyone else there. All this culminated in my first visit to an O.T.O lodge, and therefore my first Gnostic Mass. Everything fell into place quite beautifully, I clicked with everyone I met, and the whole experience was exceptional. I started calling myself a Thelemite maybe a few weeks later. For me, Thelema is this: Do what thou wilt shall be the whole of the law. Love is the law, love under will. My interpretation of Thelema is this: You follow your True Will always, which is separate from your personal ego and ultimate serves to reunite microcosm with macrocosm, the human with the divine. Your True Will and anothers True Will will never conflict, representing perfect harmony. Love is union, and love is the aim of the Will. Anything else is just detail. I do not feel compelled to agree with everything Crowley wrote, nor do I feel obliged to praise him as the most brilliant man who ever walked the earth. He was the prophet, the voice through which Thelema was delivered, so when people attack his character or his methods (as they often do) I don’t worry about it. Not important. 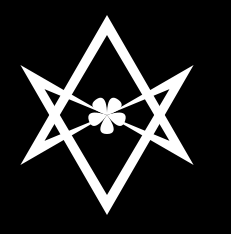 Thelema does not clash with my Luciferian philosophy, which I still hold to (which is really just a way of operating at this point, barely even a philosophy) and doesn’t clash with my practicing chaos magick (though Crowley tends more towards the ceremonial). To sum it up as briefly as possible: I practice Thelema because everything about it feels right. This is going to be one of hopefully two posts today : I know I owe a post on my goals (as it is now November) but I also have a lot to discuss in regards to my halloween weekend, my trip to Salem, and a few enlightening conversations I’ve had recently. So, more to come! Meditation: I had said I wanted to be able to meditate for half an hour, no breaks, and I definitely can now. My only issue is that usually around 20 minutes my feet start falling asleep (I tend to meditate in the half lotus position) and when I get up I can’t feel my lower legs. So I’m thinking of sitting on a small pillow when I meditate and seeing if that helps. I’ve found it’s easier for me to meditate for a long time when I have a task to do – like chakra cleansing, or something systematic, or a mantra. When I just try to do focal or void meditation for a long time, I get restless. 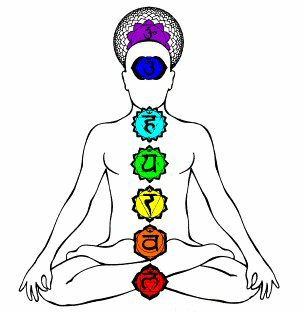 New Goal: I need to be able to meditate for half an hour without my feet falling asleep, and I also want to get comfortable with the Middle Pillar Ritual – Most of the color-related meditation I’ve done has been chakra based, and those colors don’t correspond perfectly with the middle pillar colors, so I’ve had trouble crossing over to that system. Drumming: Admittedly, I can’t quite do single or double rolls yet, at least not to the humming rate that I’d intended to reach. I *can* do press rolls now, and my timing is great (not to boast or anything) and I’ve improvised a bit on fills. Still have a lot of work to do though (more on this in my goals section). New Goals: I need NEED to be able to do single and double rolls by the end of November. And I have to practice at least every other day. New Goals: At least one more lucid dream this month, and this time I have to try to manipulate my environment. I’m not going to say I have to be successful in this, but I have to try, and I have to know that when I realize I’m dreaming, that means my surroundings are malleable and subject to my control. Those ideas need to be associated in my mind by the end of November. Fitness goals: I go to the gym all the time now (almost daily, except on weekends) and my cardio and strength have gotten much better. I didn’t reach my goal of being able to do a split, mostly for lack of motivation. I didn’t see the great benefits in being able to do a split (it was mostly for showing off, it doesn’t really do anything for me) so I focused a lot more on drumming and working out than on stretching. I’m not too disappointed about that though, I think my priorities are in the right place. Other Goals: I did finish The Invisibles – I’m a bit crushed about that, since I adore Grant Morrison’s writing style, but I’ve got plenty more things to read. I didn’t finish the Book of lies anthology, but I did finish reading Generation Hex (another Disinformation anthology) and I also started…geez, about four more books (Portable Darkness, Cosmic Trigger I, Chicken Qabalah, Low Magick). New Goals: This is a big one. 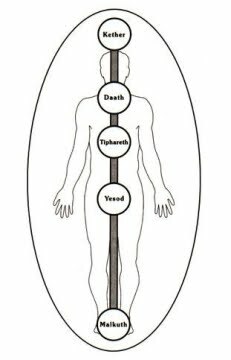 I’ve been reading the Chicken Qabalah and studying the tree of life, and I’ve started memorizing the sephiroth and the paths. By the end of November, I want to have the paths memorized (in Hebrew) and their meanings and how they connect the sephiroth. I also want to finish reading and taking notes on the book. AND I want to finish Portable Darkness (a Crowley reader). Since I’ve started calling myself a Thelemite (separate post on this later) I really have to brush up on my Crowley.